Volkswagen says a decision for a supplier in North America will be taken soon. After seriously tarnishing its reputation with the diesel scandal, Volkswagen Group has changed strategy. From 2020, it will roll out one electric vehicle "virtually every month" to give it the most varied fleet of electric models of any automaker. The Group now produces electric vehicles at three locations, and in two years' time a further nine Group plants are scheduled to be equipped for the goal. And, as well as increasing the number of locations where battery powered vehicles will be manufactured from the current three, to 16, the carmaker has also secured battery deals for Europe and China worth €20 billion. But tens of billions of dollars of supply contracts for battery cells through 2025 might seem to indicate some urgency on the part of a company struggling to look forward to a cleaner future rather than backward to the sins of its past. "Over the last few months, we have pulled out all the stops to implement "Roadmap E" with the necessary speed and determination", Muller added. "This is how we intend to offer the largest fleet of electric vehicles in the world, across all brands and regions, in just a few years", Müller insisted. Roadmap E calls for 50 battery-electric vehicles and 30 plug-in hybrid models by 2025, with up to a quarter of all new VW Group models being purely electric powered by that point. It doesn't mean that VW is going all-electric though. But don't think the company has given up on conventional gas and diesel engines just yet. About 500,000 diesel vehicles with "defeat" devices were sold between 2009 and 2015 in the U.S. and another 11 million worldwide. The company has already repaid billions in costs and fines for dodging emission level tests. "Building up expertise and mastering the technology does not necessarily imply that we want to start large-scale assembly of batteries ourselves", the CEO said. The about-face for electrification starting in 2022 was due to Dieselgate, he said. "At EUR 230.7 billion, the group's sales revenue was up 6.2 percent on the prior-year figure, which was a new record", said CFO Frank Witter. 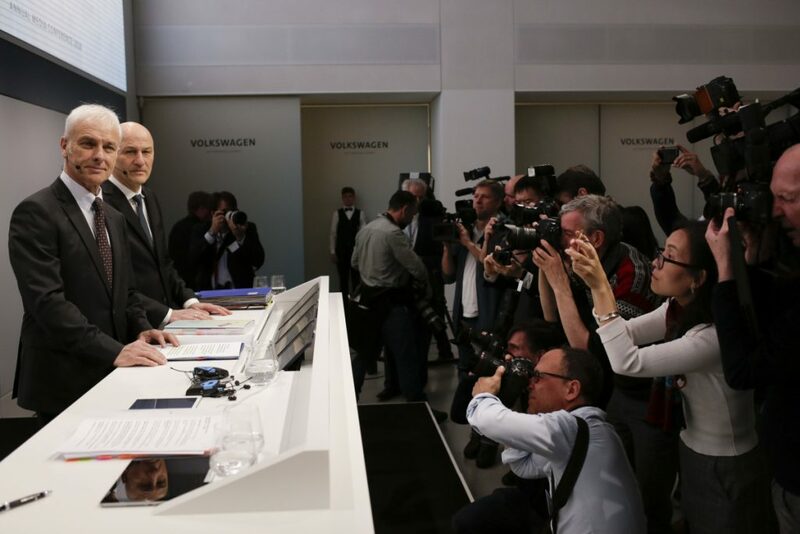 "Even after deducting special items, this is the best operating profit that the Volkswagen Group has ever achieved".